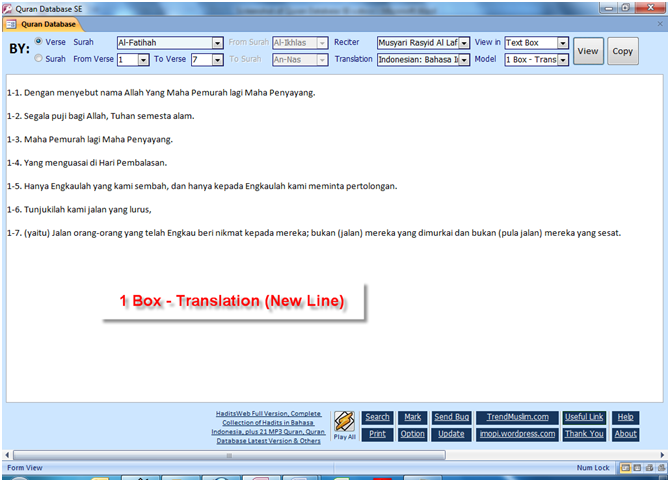 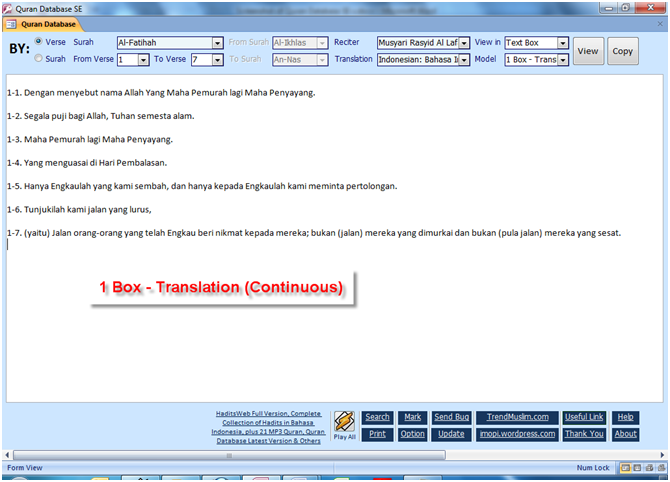 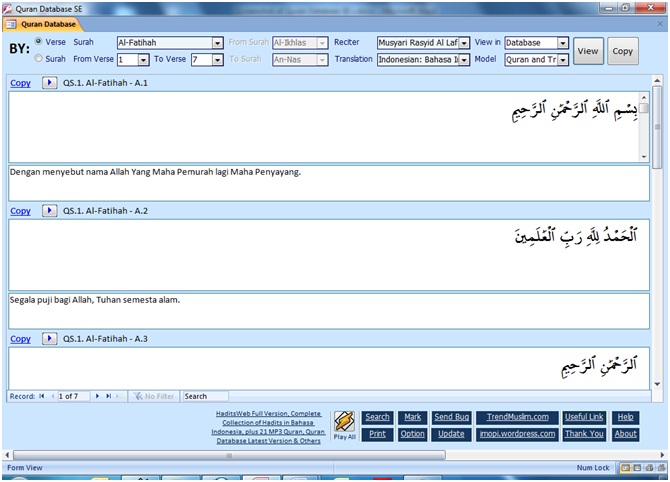 Have three mode view: Text Box, Database and Web Browser. 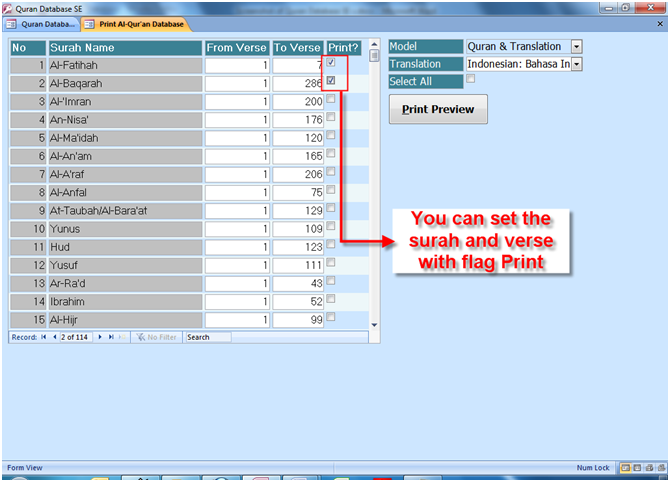 Each mode view has a different model box. 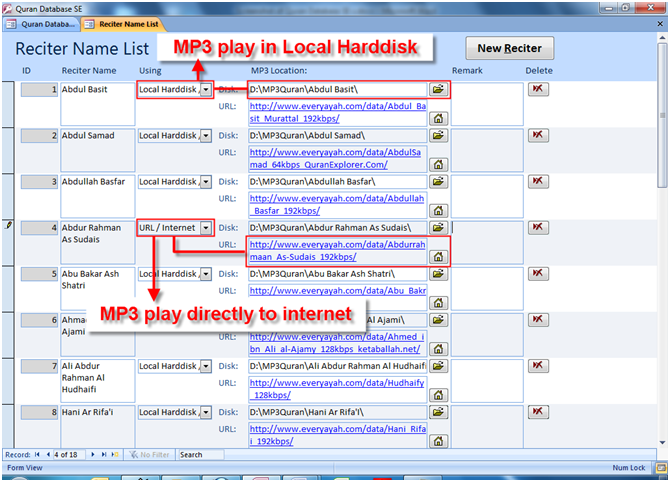 Make sure you have set default browser to Mozilla Firefox for the best view and result. 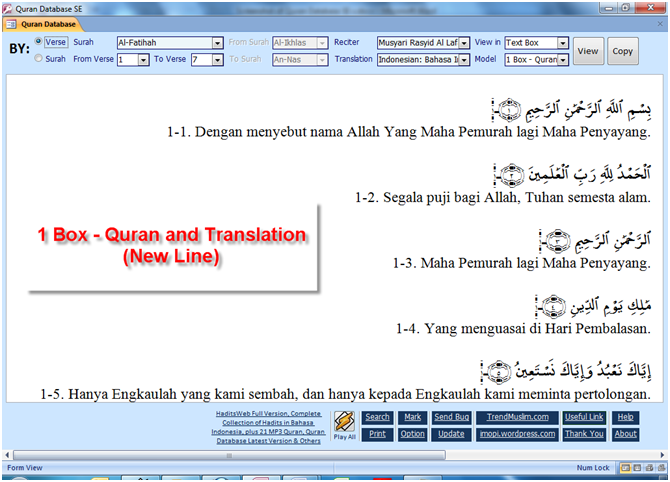 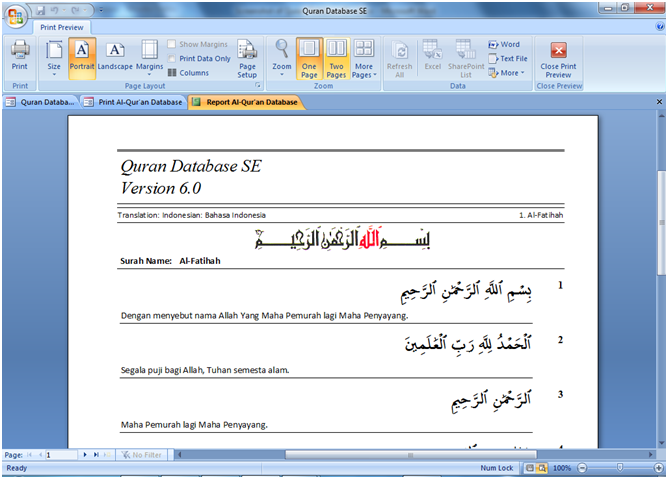 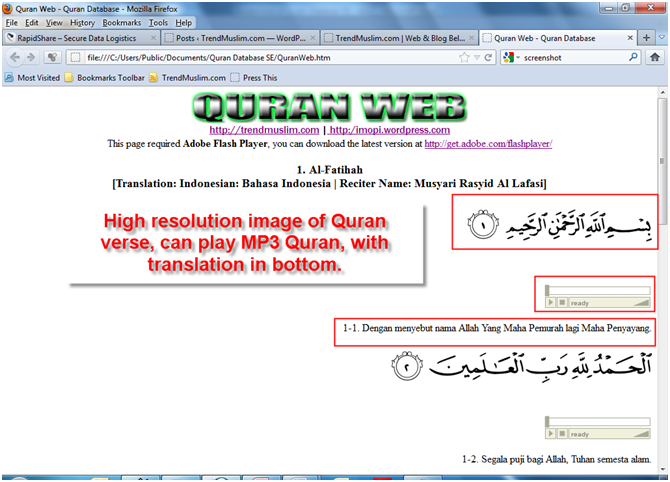 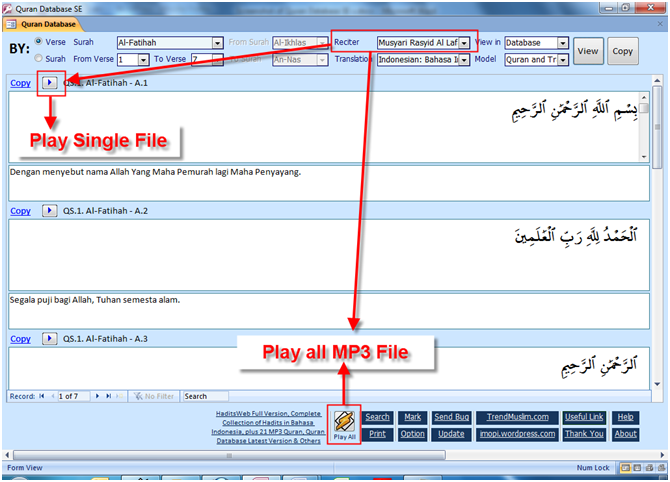 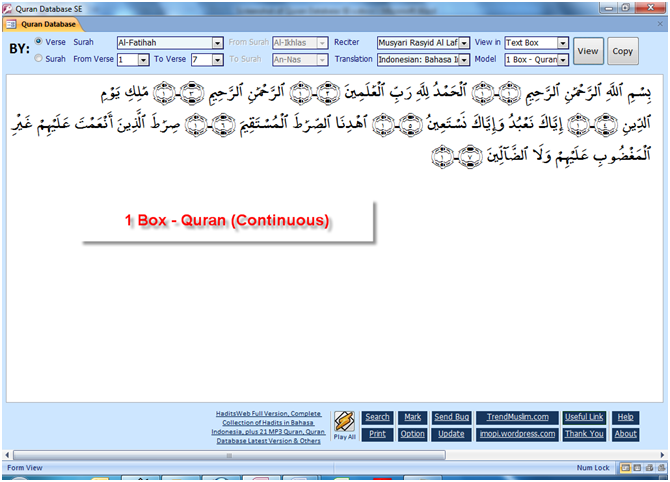 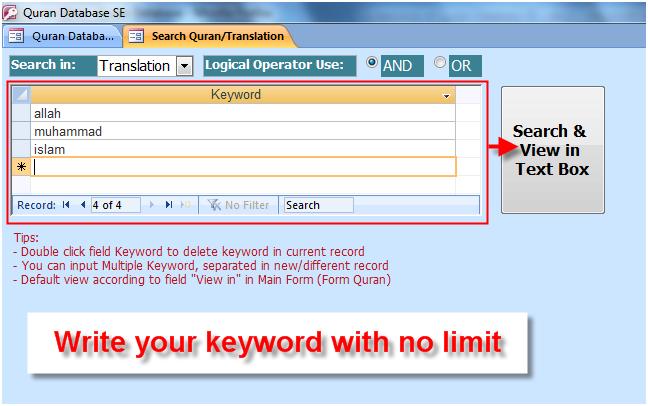 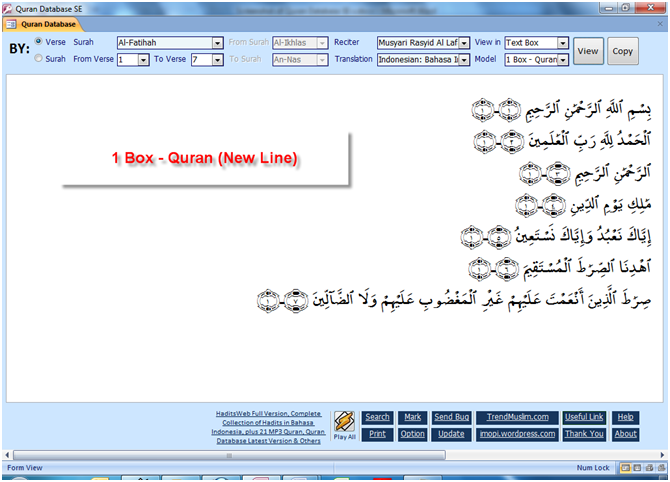 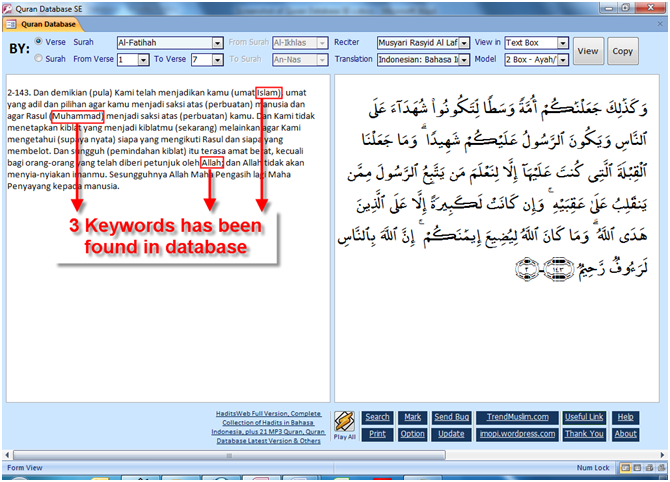 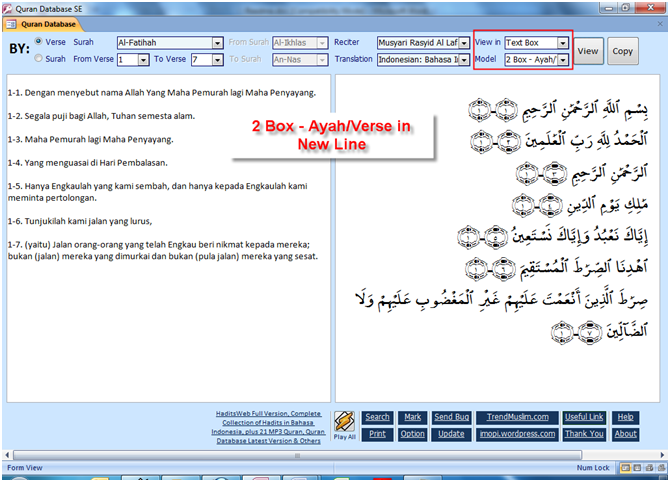 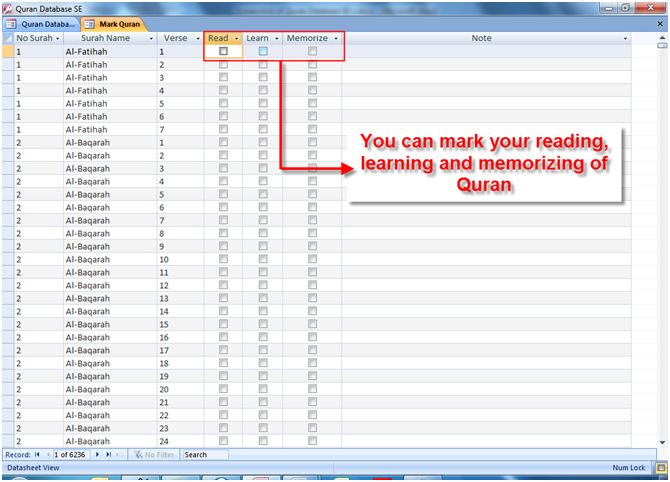 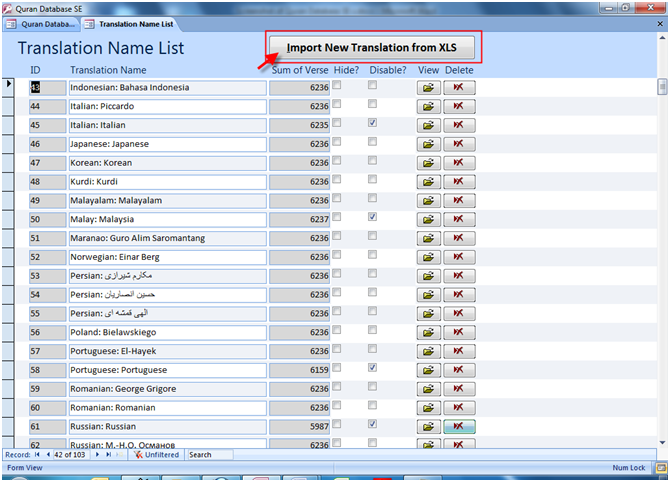 You can add translation of Quran with no limit. 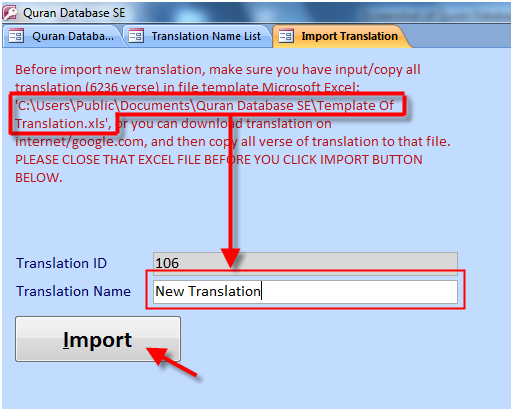 You can hide or/and disable the translation without delete that translation.